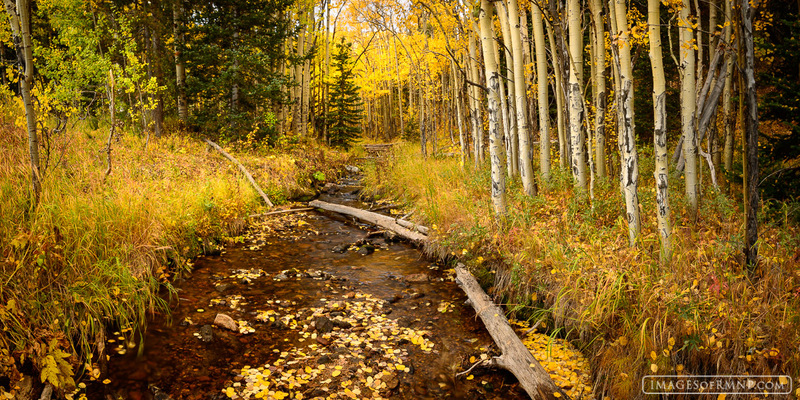 As autumn reaches its zenith the aspen trees clothe themselves in their finest autumn dress and gather together beside a small stream in the forest. It is as if they are preparing for a grand party to celebrate the beauty of the season. Photo © copyright by Erik Stensland.